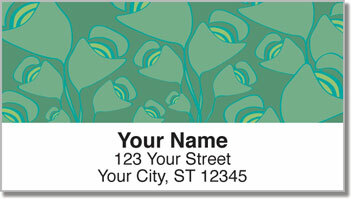 Freshen up your outgoing mail with return address labels featuring a floral print in attractive shades of natural green. The color green is both soothing and invigorating. It is everywhere around us in nature - from the treetops over your head to the blades of grass under your feet. 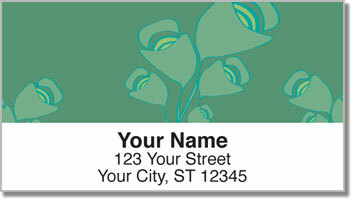 The hue of your new labels isn't the only thing that will help eliminate your stress and give you extra energy. 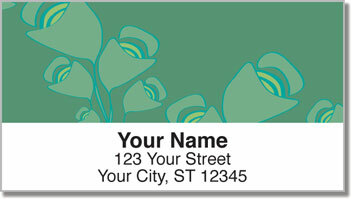 The convenient, self-adhesive backing makes it extremely easy to finish filling out letters and packages. All you have to do is peel and place them on every envelope. Save your time and effort for what you really want to do! 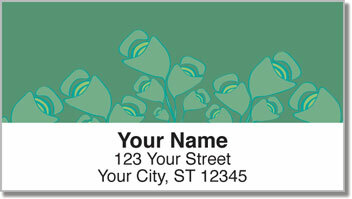 Order your very own Green Bouquet Address Labels right now! You can also get matching personal checks.